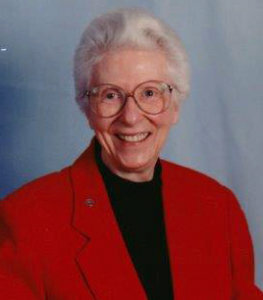 Sister of Mercy Michelle Carroll, the founding principal of Mercy High School in Baltimore, died Aug. 23 in Savannah, Ga. She was 96 and had served as a Religious Sister of Mercy for 73 years. Sister Carol, who later led Mercy as the head of school for nearly four decades, remembered Sister Michelle as an excellent administrator. The quote, Sister Carol said, sticks out in her memory, as Sister Michelle used it often to say that she needed more information. Sister Michelle was also greatly popular with her teachers – young Sisters of Mercy including Sister Augusta Reilly, who taught English and creative writing and advised the dramatics club. Sister Augusta recalled Sister Michelle’s southern charm and quiet elegance. Sister Michelle allowed the dramatics club to stray from the previously standard all-girls, Catholic high school plays such as Alice in Wonderland and Treasure Island, and move to more sophisticated readings from authors such as John Knowles and J. D. Salinger. A Florida native, Sister Michelle earned a bachelor’s degree in chemistry from Florida State University. During World War II, she was a research chemist and helped develop Vitamin C supplements for United States soldiers. In 1944, Sister Michelle entered the Sisters of Mercy. 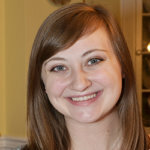 She taught at Mount St. Agnes High School and College in Mount Washington and was a teacher and principal at St. Vincent’s Academy in Georgia. She earned a master’s degree in education with certifications in chemistry and biology from what is now Loyola University Maryland in Baltimore in 1958. 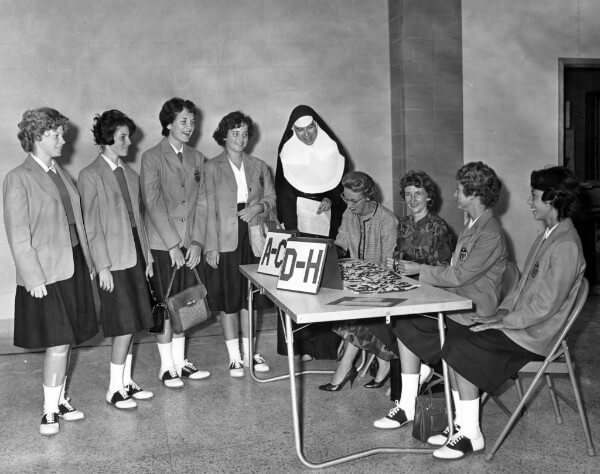 Two years later, she was appointed founding principal of Mercy High School by the Sisters of Mercy. The school opened its doors Sept. 26, 1960 to 315 freshmen. By 1963, the school was thriving with more than 1,000 students enrolled. In “First & Forever: A People’s History,” an archdiocesan history by Rafael Alvarez, the author quotes Sister Michelle’s recollections of a 1964 visit to the school by Beatles guitarist George Harrison. The book states that Mercy, then four years old, was considered state-of-the-art for female, secondary Catholic education. Sister Michelle was happy to welcome the musician for a visit, which lasted no more than a half-hour, but said that she did not know much about rock and roll. Phyllis Herz Procheska saw Harrison walking the halls, and asked to be excused from class to go to the office, where she was able to meet him and get an autograph. Sister Michelle served as principal until 1966, when she transitioned to her role as assistant provincial of the Baltimore Province of the Sisters of Mercy. She returned to Mercy High School in 1971, serving two years as a guidance counselor, before becoming provincial of the Baltimore Province and vice president of sponsorship for St. Joseph’s Health System in Atlanta. A funeral Mass was offered for Sister Michelle Aug. 29 at St. Frances Cabrini Catholic Church in Savannah.